Many individuals who have allegedly suffered serious adverse effects after taking Xarelto are filing lawsuits against the manufacturer, Bayer, and the marketer in the U.S., Janssen Pharmaceuticals. These plaintiffs allege that the company did not warn the public about the effects or the inability to stop the bleeding and that the companies failed to warn patients and physicians of the increased risks of fatal internal bleeding. In March 2019, Bayer AG and J&J’s subsidiary Janssen Pharmaceuticals Inc. agreed to a mass tort settlement of $775 million to resolve more than 25,000 lawsuits over their blood-thinning drug Xarelto. Unless you choose to opt-out of the settlement, your case will be included in this global settlement. Our law firm is no longer accepting new Xarelto cases. As of March 2019, over 25,000 lawsuits that have been filed in federal court involving Xarelto, alleging serious side effects include strokes, blood clots, and hemorrhages. These cases are in the MDL (what is an MDL?) and are currently in the discovery stages. The judge set four bellwether cases to be tried. Plaintiffs have struggled at first, losing the first lawsuit in federal court. The first Pennsylvania state court trial involving Xarelto went to trial in November 2017. In December, the jury's voice was heard loud and clear: a whopping $28 million verdict. The victim was prescribed Xarelto in order to prevent a stroke. She suffered from atrial fibrillation, which is an irregular heartbeat. She took the drug for approximately one year. She was hospitalized with severe gastrointestinal bleeding. Thankfully, she has had a full recovery. She blamed her hospital stay on Xarelto. The jury's anger towards Bayer showed in the verdict. The jury award $1.8 million in compensatory damages and $24.2 million in punitive damages. Regrettably, a Pennsylvania state court judge on Tuesday erased this verdict in January 2018 based on concern about the treating doctor's testimony. The problem was that the treating doctor testified that his conversation with his patient would not have been any different if Xarelto had given a proper warning. This is a win for Bayer, to be sure. But how many treating doctors are going to line up with the pharmaceutical companies and say that a more complete warning would not have changed the risk/benefit conversation the doctor has with the patient? The guess here is very few. What does this verdict mean? Plaintiff's lawyer had been on the defensive after losing three consecutive trials in federal court. This win is a real game changer. Settlement negotiations are going to have a very different vibe after this verdict no matter what ultimately happens on appeal with this verdict. It is not just that the jury found Bayer negligent. The bigger story is the size of the verdict and what the says about how future juries are going to view these cases. When these settlement discussions to settle the Xarelto lawsuits begin, how much money will the plaintiffs' lawyers ask for and what can we expect for an average Xarelto settlement value? Let's start off by stating the obvious. No one knows the settlement value of these case or even if they will settle. There are lots of law firms out there trying to tease victims with headlines on the "average Xarelto settlement" hoping you click on their lawyer's website. But when you get there all you get is circular mumbo jumbo. I'm sure many of you are reading this and nodding. We will give you numbers -- keep reading -- but it is important to be clear that it is rampant speculation when you are guessing at the settlement payouts in any mass tort case. The reality is that the value of the Xarelto cases -- like any mass tort claim -- rises and falls throughout the discovery process. Also, because the scope of the injuries varies wildly by plaintiff from minor injury to death and disability, the settlements will vary. Most likely, there will be several tiers of settlements with different amounts depending on the severity of the injury. The trial value for many on these Xarelto lawsuits is in the millions and will be capped only by state law that puts a limit on damages. Many of these cases involve fatal and life-changing injuries, and juries do not shy away from giving significant damage awards if they believe the pharmaceutical company made a mistake. This settlement often occurs after a few trials give the parties a better gauge of what the true settlement value of the cases might be. In other cases, the drug company does not want to take a risk and works to reach a global resolution to the cases before letting the case go to trial. The range of settlement value for the average Xarelto case is probably between $75,000 and $300,000 for cases with a serious injury or death, depending on how well these cases go from here. This range is based on what similar injuries have settled for in the past in the mass tort context. It also takes into consideration what Bayer, Johnson & Johnson, and Janssen have paid in similar recent litigation, most notably the Yaz cases where the average settlement was just north of $200,000. The question now -- that a few trials might help answer -- is just how good the liability case is against Bayer and how willing Bayer is to roll the dice and let these cases go to court. Keep in mind one more thing Xarelto had $3.7 billion in sales. Do you think this is going to drive how Bayer and J&J view these cases? Again, this is rampant speculation, and the settlement numbers could be much higher or much lower. We go down this guessing path because there are a lot of people out there considering filing suit and what to have some idea of what the monetary value of these cases might be. How Long Until the Xarelto Cases Settle? Xarelto is one of the newest blood thinners (anticoagulants) on the market, FDA approved in 2011. Blood thinners are used to prevent blood clots from forming due to irregular heartbeats or after hip/knee replacement surgeries. Unlike older anticoagulants which require doctors to prescribe specific doses for each, Xarelto is prescribed in one uniform dose. Xarelto was approved by the FDA for reducing blood clots, DVT, and PE following hip or knee surgery on July 1, 2011. Xarelto was later approved to prevent the risk of stroke and systemic embolism in patients with nonvalvular atrial fibrillation just a few months later. 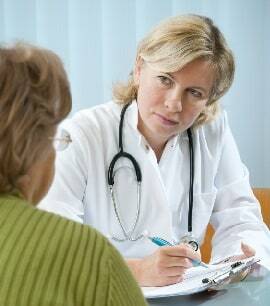 The following year, Xarelto was approved for the long-term treatment of DVT and PE on November 2, 2012. Xarelto is an anticoagulant that targets a particular clotting factor in the blood. It is prescribed by physicians in dosages of 10mg, 15mg, and 20mg oral tablets. Because of these problems, some doctors, including plaintiffs' experts in this litigation, believe that Xarelto is the worst in its class of new oral anticoagulants with respect to bleeding risk, and it is also the worst in its class with respect to thromboembolic stroke prevention when compared to warfarin. There is another problem. Bleeding as a result of taking Xarelto can be irreversible, and can lead to hospitalizations and death. Other blood thinners on the market, such as Warfarin, have methods of reversing a brain bleed that is a result of the drug, such as treatment with Vitamin K.
Other complications that can arise from Xarelto are serious wound infections and leakage after hip or knee replacements. This can result in the patient returning to surgery or intense antibiotic therapy for up to months. Even the most ardent of Xarelto detractors are not pushing for a recall of the product. Instead, lawsuits involving this drug are alleging that a warning of these risk should have been on - or have been more prominently placed in some cases - the package insert so doctors and patients can make an informed choice. The FDA approved Xarelto for patients recovering from hip or knee replacements to reduce the risk of blood clots, and to reduce the risk of stroke in people with atrial fibrillation. After a fast-track regulatory review, the FDA also approved it for the treatment of patients with deep vein thrombosis or pulmonary embolisms. In 2012, the Journal of Bone and Joint Surgery published a study in which they studied 13,000 patients who were taking either Xarelto or Heparin after a hip or knee surgery. They found that those who were taking Xarelto had almost four times the risk of wound complications. Another study by the American Academy of Orthopedic Surgeons found that people who took Xarelto had significant rates of having to return to surgery within thirty days. The FDA put Black Box Warnings (the highest kind) on Xarelto for serious complications associated with the drug. They noted that if you were on Xarelto and had spinal injections, epidurals, or surgery, you were at an increased risk of forming a blood clot in the spine that could cause paralysis. Further, the FDA noted that spinal clotting had increased for people on NSAIDs or patients with a history of spinal problems or surgery. Phase III clinical studies were done to examine the safety of Xarelto. 73% of the 16,041 participants in the study who took at least one dose of the drug experienced side effects, with the most prominent serious side effects being anemia and bleeding. The FDA then released a warning that patients who suddenly stop taking the medication can be at an increased risk of developing clots.